The Parish Church of Lapworth is St Mary the Virgin, Church Lane, Lapworth B94 5NX. It is a beautiful mediaeval building situated in the Warwickshire countryside. The church is interesting and attractive to visitors, who are warmly welcomed. The Church, situated about a mile from the main population (Kingswood), is a grade 1 listed building that dates from approx. AD 1100. It comprises a nave with seating for about 180. 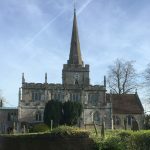 In AD 1100 a stone church existed on the site of the present nave and chancel; the succeeding nine centuries have given Lapworth an outstandingly beautiful and interesting church. 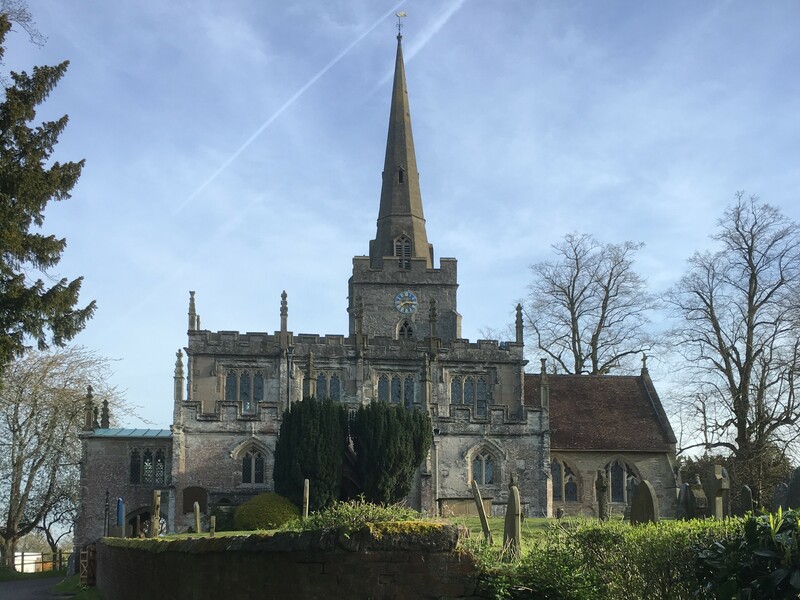 “Building, which began in the 12th century, continued at intervals over 300 years so that the general impression now from the outside, is of a 15th century church,” (A Warwickshire Village Church, by Mildred Tomlinson). The organ, a Nicholson three manual that was bought and completely rebuilt with additions in 1998, is a particularly fine instrument. Services for this month can be found here. Visitors are welcome at all Services. Music forms an important part of the Sunday morning (11 a.m.) services and we have an excellent organist and choir master (and Scholar Organist) and an able and regular choir, which is supplemented on festival occasions by further volunteers from the parish. There is a strong choral and musical tradition. A team of self sufficient and enthusiastic bell ringers serves the Church. 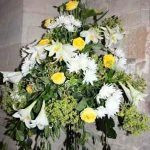 A devoted and extremely proficient Flower Guild provides outstanding floral decorations weekly in the Church, as well as on special occasions, such as weddings. Members of the congregation organise evening concerts (sometimes with meals) and entertainment usually to assist good causes including Christian Aid, Harvest Supper etc. Joint Parish walks are enjoyed throughout the year as well as regular parish lunches in the ‘Old School’. A summer outing has been popular in recent years. An annual Christmas Fair in late November is appreciated by the community. The men’s supper group (MOLES) of which the Rector is chairman, holds monthly meetings during the winter reaching out to the wider village society. The Parish has a strong and active PCC and Finance Committee, who include amongst their number, members holding professional qualifications, who are able to ensure that the administration and financial affairs of the Council receive the full benefit of their professional skills and advice. The Parish of Lapworth is closely associated with the Parish of Baddesley Clinton, four miles to the East, where the Parish Church is St Michael’s. The two Parishes share one Rector. The Rectory is opposite St Mary’s Church on Church Lane.